From Goodreads.com: Freshly trained detective Johannes “Hannes” Niehaus is brand-new to the Criminal Investigation Department. And his partner, unconventional veteran detective Fritz Janssen, isn’t the least bit thrilled to train a rookie. 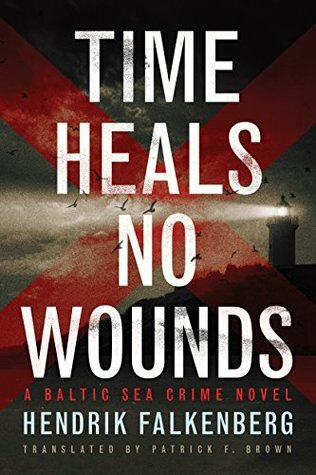 When a woman’s body washes up on the nearby shores of the Baltic Sea, Hannes gets his first taste of real crime—and a chance to prove himself. Quickly the investigation pulls him and Fritz into a whirlpool of dangerous, decades-old cover-ups. As the death count rises, the clues begin to lead them back to the Third Reich—and to harrowing crimes some people will do anything to keep hidden. This book certainly managed to catch my attention. Seriously, I was hooked from the first few chapters, and found myself reading well past my bed-time just to see what happened. I felt that this was a pretty accurate representation of homicide work - there was a lot of leg work, a lot of chasing false trails, and a lot of luck. I very much enjoyed the scenes that had nothing to do with the actual crime (such as Hannes meeting people in the random way that he did). I felt that these little scenes added a lot to the character, and therefore added to the overall story. This story also had the unique ability to take horrific events of the past and weave them into a story that not only took place in modern day, but seemed to make sense when doing so. On the flip side of things, this novel was originally published in the author's native tongue (German), and translated to English. I firmly believe that some things were "lost in translation" as there are some scenes that come across as a bit awkward in their phrasing, however, I kept the translation fact in mind and I was easily able to overlook these instances. Overall, I would recommend this book to those who enjoy a well-written police story. I will definitely read more from this author!